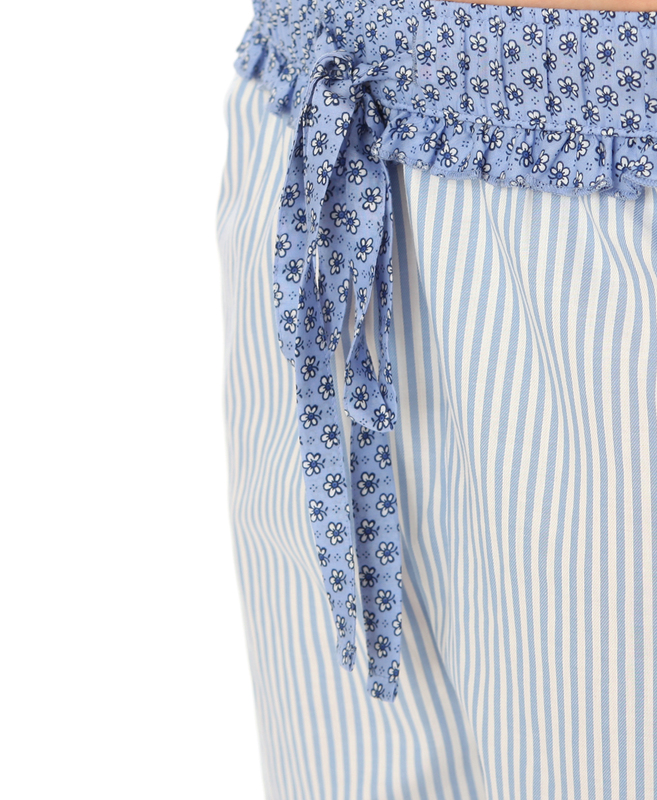 The Cyberjammies Melissa Short-sleeved Pyjama Set – comfy, cool, classic striped short sleeved pyjamas. This simple, stylish stripe set will transport you in to a world of relaxation. It has contrast collar lining and a matching ribbon waist tie.